This year at SOLIDWORKS World you will find out about an exciting new SOLIDWORKS product for free-form, subdivision (Sub-D) modeling called SOLIDWORKS xShape. There will be two sessions on Tuesday afternoon: one a breakout session (introducing SOLIDWORKS xShape) and the other a hands-on session (Subdivision Modeling using SOLIDWORKS xShape). 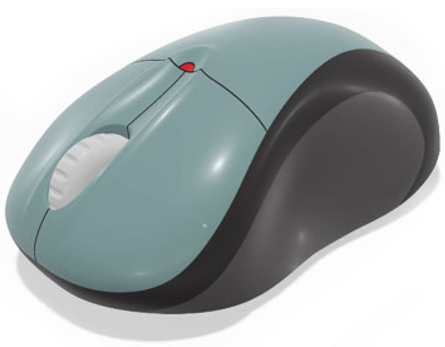 SOLIDWORKS xShape is a browser-based subdivision modeling tool from SOLIDWORKS. Attendees will learn about the technical capabilities of SOLIDWORKS xShape and how it complements SOLIDWORKS desktop and SOLIDWORKS xDesign workflows. SOLIDWORKS xShape is the 3D subdivision modeling tool on the 3DEXPERIENCE Platform, used for creating designs that require organic shapes with very smooth transitions. It is the second “xApp” in a portfolio from SOLIDWORKS that allows industrial designers, digital artists, and engineers to create innovative products in a new way. It runs fully in a browser, so no installation is necessary, meaning more freedom to choose the device you want to work on. 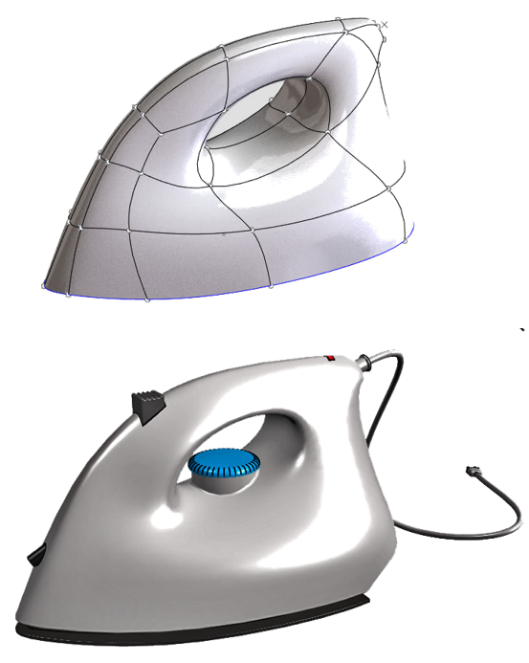 First, SOLIDWORKS xShape allows much faster and more flexible creation of freeform shapes than standard parametric surface modeling. It is very intuitive to use because of the way you interact with the design to create and edit the shape – more like pushing and pulling on the surface, similar in many ways to sculpting a design versus CAD modeling. This also makes it easier to make dramatic changes to the shape than with standard parametric surface modeling, which makes xShape particularly useful in the early conceptual design phases of a project during which major changes in the shape of the design must be made quickly. Second, it provides interoperability with other 3DEXPERIENCE Platform applications like SOLIDWORKS xDesign as well as SOLIDWORKS desktop, unlike other free-form modeling software on the market that do not provide interoperability. For example, you can design something in SOLIDWORKS desktop, open it in SOLIDWORKS xShape, create a model, such as a cover for an electronic device, and then just reopen the whole assembly, including the new cover, in SOLIDWORKS desktop again. 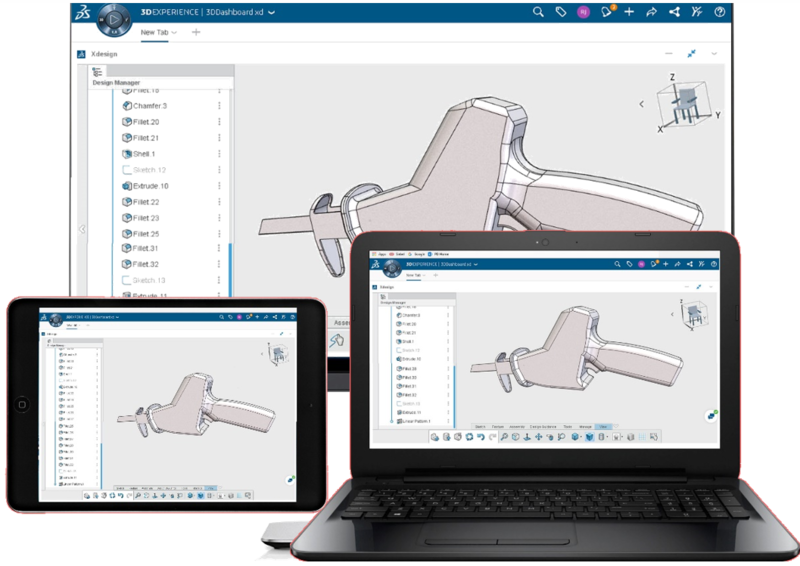 Changes made in the cover design in xShape will be passed reflected in to SOLIDWORKS desktop, and changes made in SOLIDWORKS will be reflected in the xShape model, thereby providing interoperability between SOLIDWORKS xShape and SOLIDWORKS desktop. Lastly, xShape is not tied to a specific operating system, meaning you have more freedom when it comes to hardware you want to work on. Since it runs on the cloud, there is no required software maintenance, no installation, no updates, so you are always on the latest version and you can access it wherever you are. Subdivision modeling (also known as Sub-D modeling) is a special type of 3D modeling used to create very smooth models with scalable detail that look very smooth when rendered. Subdivision surfaces are capable of producing smooth organic forms using just a relatively few control vertices. 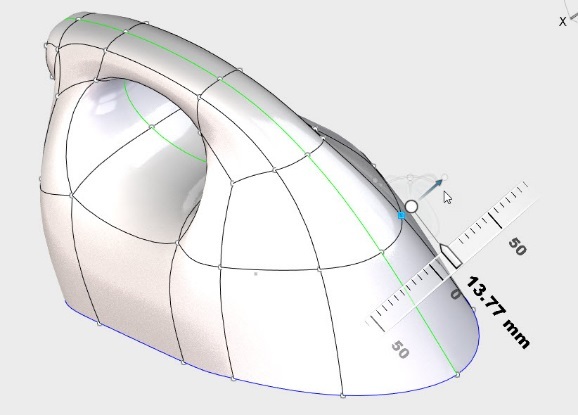 Unlike standard surface modeling that requires sketches and curves to control the shape, SOLIDWORKS xShape creates high-resolution models by manipulating (push-pull) a lower-resolution “cage” model while using software to subdivide for a smoother surface. What are the benefits of SOLIDWORKS xShape? Ease of use – an intuitive approach to creating dramatic freeform shapes makes xShape the perfect tool for developing new and exciting designs quickly that can be rendered and manufactured for design reviews, customer approval or testing. Collaboration is at the core of xShape – sharing concept designs and working on the same design is as easy as connecting on social media. Interoperability with SOLIDWORKS desktop and SOLIDWORKS xDesign as well as compatibility and scalability with the rest of the 3DEXPERIENCE Platform provides a complete business innovation platform to help you develop products more efficiently and grow your business. SOLIDWORKS xShape runs fully in a browser, so no installation is necessary, meaning more freedom to choose what device you want to use to create. With SOLIDWORKS xShape you never have to worry about what version you are running, you’re always using the most current version of the software – no more upgrading and worrying about software version compatibility. Session Description: In this session attendees will learn about SOLIDWORKS xShape, the browser-based subdivision modeling tool from SOLIDWORKS. Attendees will learn about the technical capabilities of SOLIDWORKS xShape and how it complements SOLIDWORKS xDesign and SOLIDWORKS Desktop workflows. Session Description: SOLIDWORKS xShape is a new browser-based freeform/subdivision modeling tool. It brings subvision modeling technology to the SOLIDWORKS product portfolio. Join this session to learn about using this new product from SOLIDWORKS. Attendees will be among the first people outside of DS SolidWorks to get access to SOLIDWORKS xShape. You will get hands-on using freeform modeling to create organic shapes. Don’t miss your chance to try this exciting new technology at SWW19. See you in Dallas.